Thirty-one years after her birth via external fertilization and embryo transplantation, Zheng Mengzhu, China's first test-tube baby, gave birth yesterday in a Beijing hospital. Zheng Mengzhu delivers a boy at Peking Univeristy Third Hospital in Beijing on Monday. Zheng Mengzhu is born on March 10, 1988, in the same hospital, as the first-ever test tube baby on the Chinese mainland. 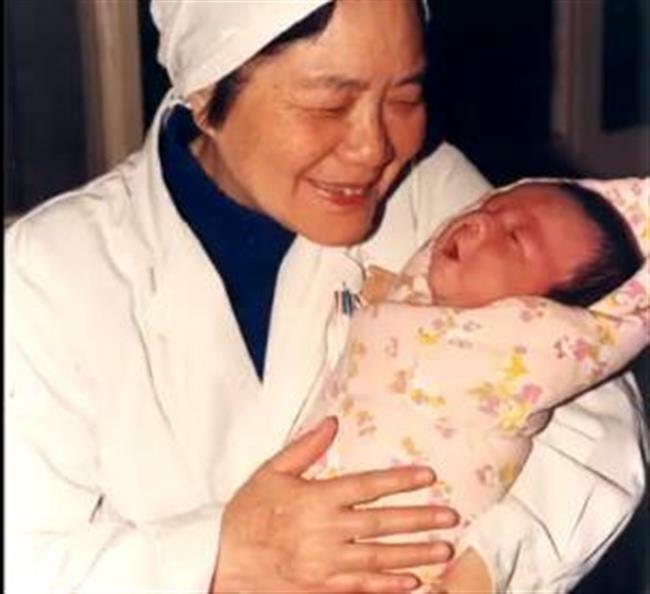 Thirty-one years after her birth via external fertilization and embryo transplantation, Zheng Mengzhu, who was China’s first test-tube baby, gave birth yesterday in a Beijing hospital. At 8:34am, Zheng gave birth to a boy through Caesarean section, said Zhao Yangyu, head of obstetrics at Peking University Third Hospital, who performed the surgery. The boy weighs 3.85kg, which is similar to his mother’s birth-weight. The baby was in a horizontal position when he was in the womb, a situation that demanded a C-section, Zhao explained. “The surgery went rather well. Both the mother and the baby are in stable condition,” she said. Zheng was born on March 10, 1988, in the same hospital, as the first-ever test tube baby on the Chinese mainland, 10 years after the first such baby was born in Britain. Qiao Jie, director of the hospital, said the successful birth of Zheng’s child marked another milestone in the history of assisted reproductive technology in China. “China’s test-tube baby technology has reached leading levels in the world,” she said. Zheng’s mother was a primary school teacher in northwest China’s Gansu Province. Unable to conceive a baby for 20 years after her marriage, the mother, then 39 years old, received external fertilization and embryo transplantation in the Beijing hospital. Zheng grew up in Gansu. After graduation, she became a medical archivist in the hospital’s Reproductive Medicine Center. When Chinese researchers started experimenting test-tube technologies, they mainly used to help women with blocked fallopian tubes, doctors said. Now, about one to two babies in every 100 newborns are born with assisted reproductive technology.